Ukraine’s European Union member state neighbors have a key role to play in facilitating the country’s greater integration into EU markets, with each individual investment from across the border helping to build bridges and introduce EU standard business practices to the Ukrainian market. Wood Panel Plus is a Romanian venture established in 2017 in the Ivano-Frankivsk Oblast town of Kolomyia, which lies a relatively short distance from the Ukrainian border with Romania. Founded and financed by Romanians, the Wood Panel Plus plant in western Ukraine aims to develop a complete no-waste cycle of wood processing. The plant already employs over 100 people, with the production of furniture and other finished products using modern European technologies and environmentally friendly wood identified as the company’s top priority. 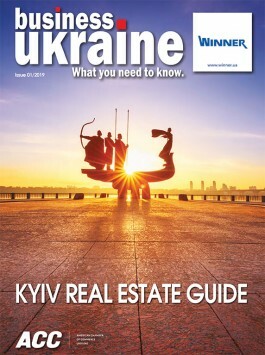 Business Ukraine magazine spoke to Wood Panel Plus technical manager Volodymyr Kushnir about ambitious expansion plans for the coming five years that envisage EUR 10 million in investments and the creation of up to 1000 new work places. Why did Wood Panel Plus choose to locate its production specifically in Ivano-Frankivsk Oblast? The decision to establish a center of operations in the Ivano-Frankivsk region was not accidental. The area offers access to a range of unique natural resources including beech, pine, oak and birch trees along with other advantageous ecological factors. Meanwhile, the infrastructure and human potential on offer in the region are also very attractive. Where are the primary markets for your products and who do you see as your core clientele? We are primarily focused on the European market along with Asian markets with an emphasis on China and Japan. Thanks to the well-established reputation of our investors within the international wood processing industry, the company was able to sign a number of contracts with numerous foreign companies in a short space of time and successfully met all of its initial targets. You have been active in Ukraine for less than one year but already have plans to invest EUR 10 million over the coming five years. What will this expansion mean for the company’s operations in western Ukraine and for the local economy in Kolomyia? The economic integration of Ukraine into European Union markets is a mutually beneficial process for all participants. Promoting the process of implementing European business standards in Ukraine is to a certain extent the mission of our company. We are confident that our efforts will not be in vain and will prove useful for both our investors and for Ukrainian society. The investment plan we have developed includes the creation of up to 1000 jobs. It also envisages the introduction of new state-of-the-art production technologies and extensive staff training. This should have a significant positive impact on the local economy in Kolomyia. You mention that your investment plans envisage the creation of up to 1000 new work places in the coming five years. This comes at a time when there is much discussion within Ukrainian society over the challenges posed by the large numbers of Ukrainians currently working abroad. 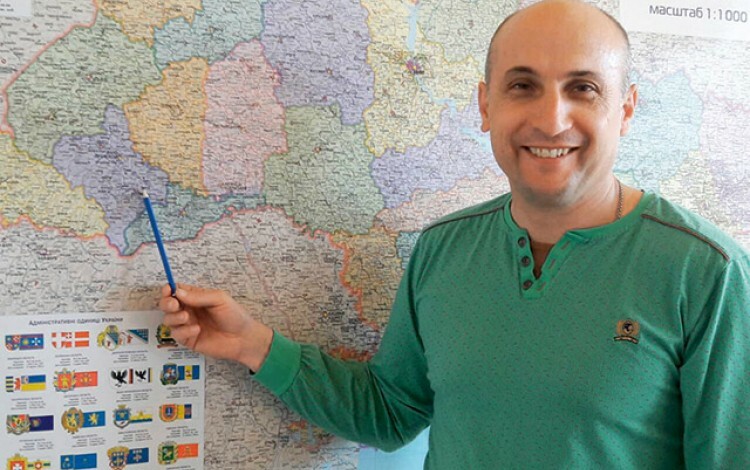 Since 2014, millions of Ukrainians have left the country in search of higher salaries and better job prospects, with the drain particularly significant in western Ukrainian regions such as Ivano-Frankivsk Oblast that are geographically closest to the European Union. Do you expect to encounter any recruitment difficulties due to this outflow of Ukrainians leaving the country for employment in the EU? Yes, we do anticipate challenges in the recruitment of new staff as we embark on our expansion plans. The migration processes currently underway are undoubtedly making themselves felt throughout the broader Ukrainian economy and will continue to do so for the coming years. For Wood Panel Plus, the issues this raises are primarily related to the recruitment of employees with the appropriate technical skills and qualifications. In order to address this issue, we plan to establish close cooperation with specialized Ukrainian colleges and universities with a view to developing targeted training. By financing education and providing Ukrainian undergraduates with the opportunity to study at the Wood Panel Plus production base, we will be able to prepare a motivated and suitably skilled pool of future personnel for the company. What steps does Wood Panel Plus intend to take in order to support the sustainability of the timber industry in Ukraine? The Wood Panel Plus project is focused on the manufacture of finished products for the furniture industry and associated woodworking. This type of production involves extensive cooperation with many other forestry enterprises. We anticipate that this cooperation will definitely contribute to the overall economic growth of the region while also supporting the development of the timber industry in particular in Ivano-Frankivsk Oblast.